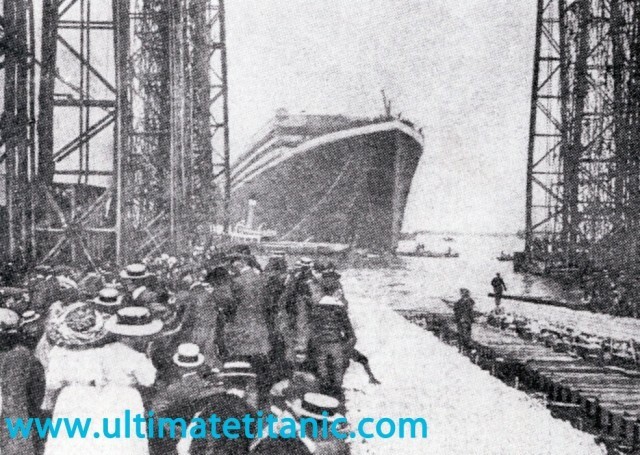 Learn about the sea trials and launch of Titanic. 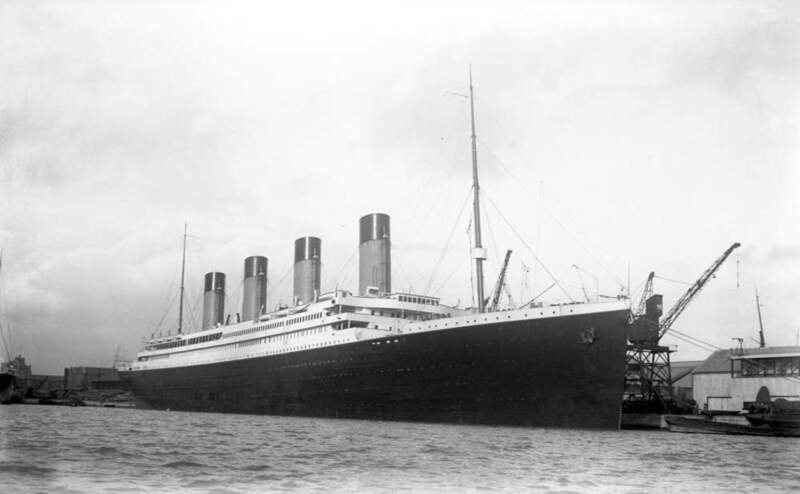 Including launch facts and information from 1912 including what day the Titanic set sail. great information for teachers, students and historians. 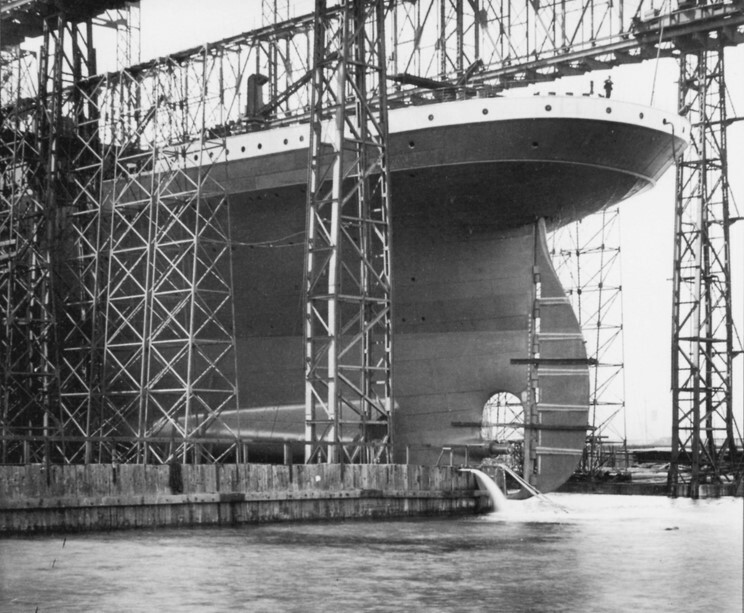 Titanic: Launch and sea trials. 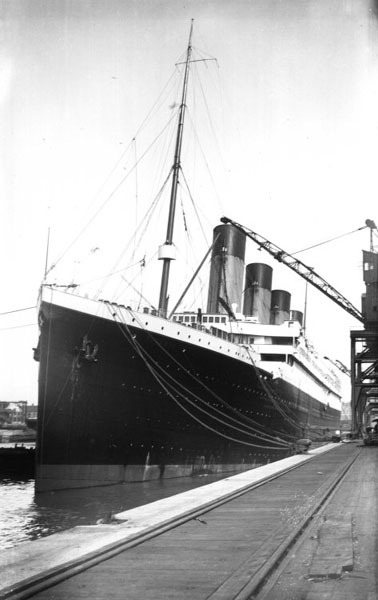 Titanic's Sea trials would be looked back as one of the great successes of her short life. 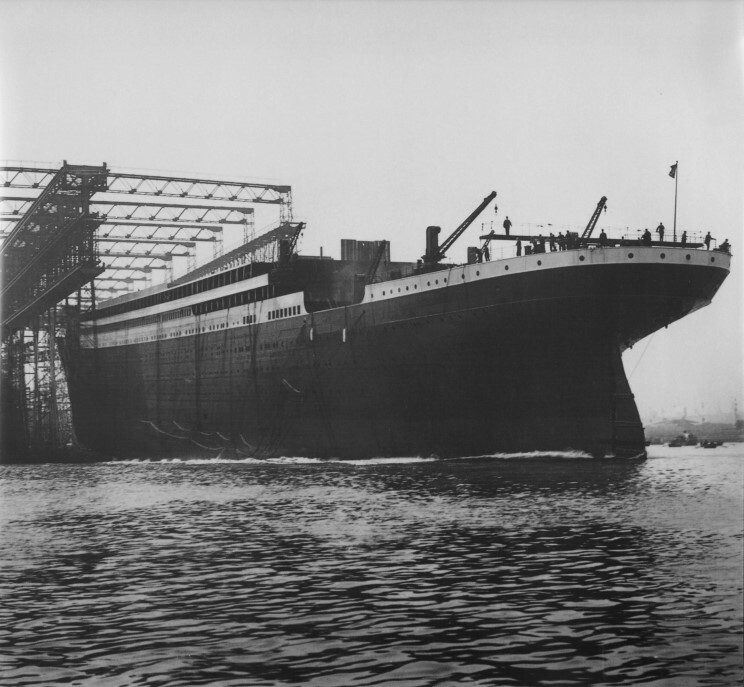 R.M.S Titanic lived up to all expectations as it sailed down the river Lagan in front of a curious audience who had gathered to watch this gargantuan vessel finally leave its docks and head towards the Irish Sea. It was here that she would first move under the power of her own steam. Dockside at the Harland & Wolff dockyards awaiting sea trials. After being postponed due to unfavourable weather the day before onlookers were growing eager to see Titanic in action. 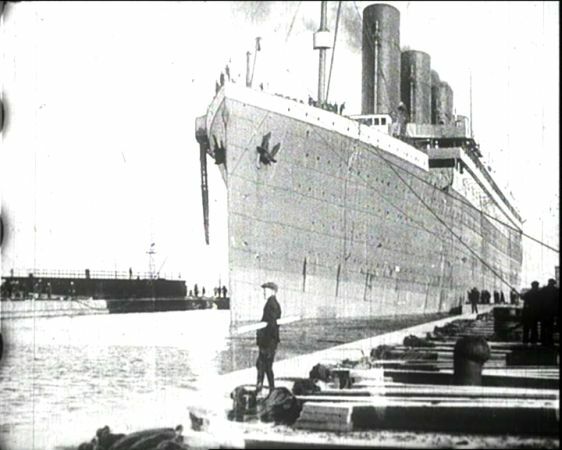 Titanic's sea trials began early on Monday, April 2 1912 after she was finally fitted out at Harland & Wolff shipyard, and just eight days before she was due to leave Southampton on her maiden voyage. Many would view this as a somewhat rushed experience and it would later reflect the overall rushed attitude which would inevitably prove fatal to Titanic, its passengers and crew. 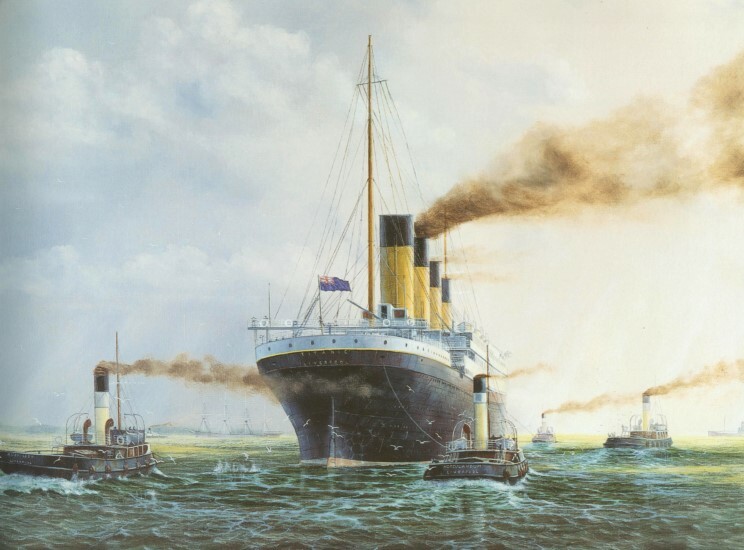 The sea trials consisted of a skeleton crew of stokers, greasers, firemen, White Star officials and representatives from the Board of trade to determine the sea worthiness of Titanic. No cabin Staff were believed to be on board for the sea trials. Mr Francis Carruthers was the man who signed off on the Titanic granting it an 'Agreement and Account of Voyages and Crew', valid for twelve months, which deemed the ship sea-worthy. Whilst the ship was in operation the 'Marconi' radio equipment on board Titanic was fine-tuned and experimented with. During the Sea trials a range of activities and tests were undertaken to determine the manoeuvrability, speed and stopping capacity of Titanic. These statistics that now exist as really the only hard evidence of what the Titanic was capable of. It is fair to assume that the Titanic was not operating at full capacity during these trials and as a result we may never know her full capability. Below are some statistics that resulted from Sea Trials. After six hours of sea trials, Titanic left Belfast at noon for the 550-mile journey to Southampton, under the command of Captain Herbet Haddock. The journey to Southampton would prove to be an uneventful one.